The K9 officer was shot on Jan. 15 during the arrest of a shooting suspect in Roseville. 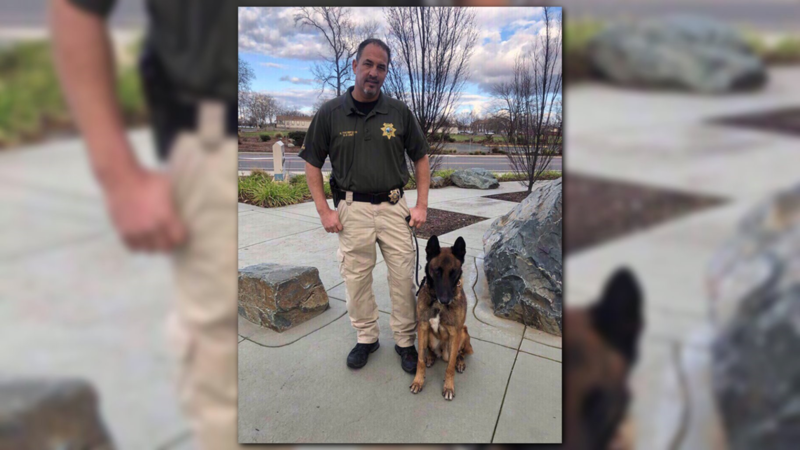 The Placer County Sheriff's Department shared an encouraging update about K9 Eros on Wednesday. 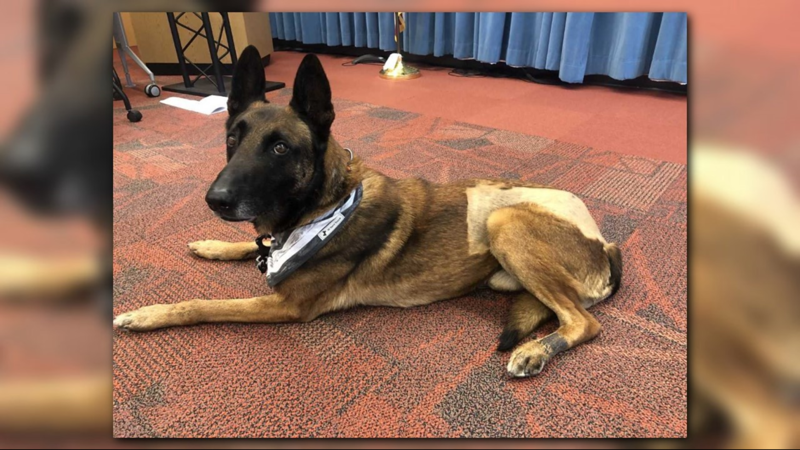 The K9 officer, who was shot on Jan. 15 while on duty, underwent surgery and is recovering well from his injuries. 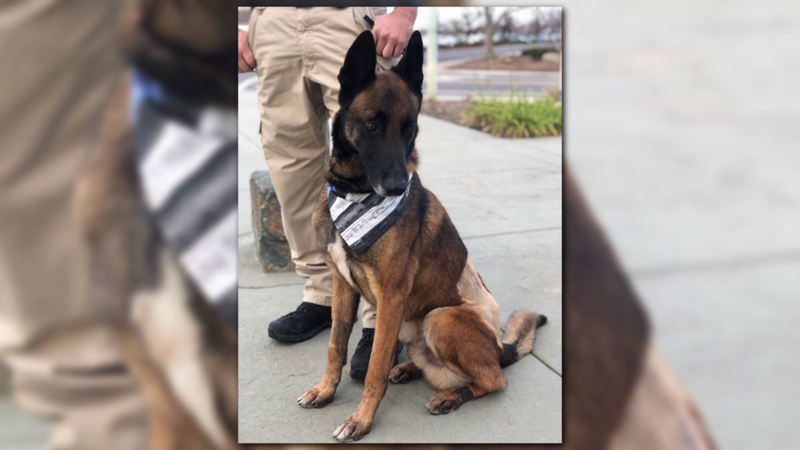 He was even up for a visit at the Placer County Sheriff's Office, and in a video shared on the department's Facebook page he can be seen in good spirits — running around while playing with one of his toys. "The diagnosis from the vet has been very good," explained Eros's handler, Deputy Kevin Thompson. "They’re saying that the bone that it hit is probably the best spot it could have hit, and that it redirected and stayed away from his spine." Thompson told ABC10 he's called Eros his partner for 7 years. "I was scared. I didn’t know what was going to happen. This has been my partner, the one who has taken care of me for so many years," said Thompson, as he explained what it was like when Eros was shot. Thompson is still not sure if Eros is going to retire after he recovers. "That’s a tough one," he added. "It’s a tough one for me because we’ve been partners for so long. I see positives on both. If he retires, then he gets to be at home. He’s already 9 years old, and in my opinion, he’s earned that chance to be at home." On the other hand, Thompson knows Eros isn't quite ready. "He’s a working dog, and this is what he’s known his entire life, and he doesn’t want to stay home. He wouldn’t want to see me get dressed up and leave for work without him. It would be hard for me to go to work without him at this point because of everything we’ve been through," Thompson said. Thompson said he was thankful for the community's thoughts and prayers as Eros continues to heal. The deputy said anyone interested in helping, can donate to the Foothills K9 Association.